At 4:57 on Monday afternoon, MSNBC’s Alex Wagner hyped “Breaking news from the Treasury Department. The White House has announced a second delay to part of the Affordable Care Act’s employer mandate. Details on that are next.” But the next “details” did not come for 12 and a half hours at 5:30 a.m. Tuesday morning during MSNBC’s Way Too Early broadcast. 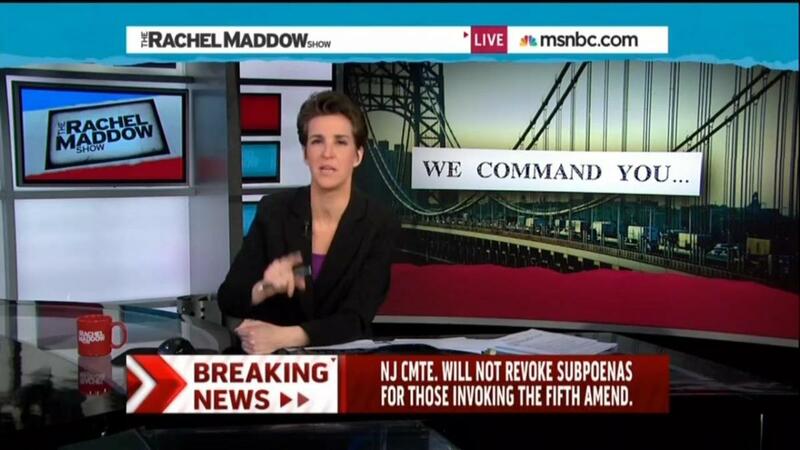 In total, from 5:00 p.m.-11:00 p.m. MSNBC spent 95 minutes on “Bridgegate” which focused on new revelations that Bridget Anne Kelly, former Deputy Chief of Staff to Governor Christie, might be held in contempt if she fails to turn over all documents to the New Jersey legislature. While a minor new detail in the Christie scandal was given 95 minutes of airtime on Monday evening, not one second was devoted to President Obama delaying the employer mandate to businesses with between 50-99 employees under ObamaCare. The shows involved in the study were The Ed Show, PoliticsNation, Hardball w/ Chris Matthews, All In w/ Chris Hayes, The Rachel Maddow Show, and The Last Word w/ Lawrence O’Donnell, all of which aired after MSNBC briefly acknowledged the delay for 7 seconds at the end of the NOW w/ Alex Wagner broadcast. MSNBC’s audience had to wait 12 and a half hours, or 750 minutes, to actually know what the details of the latest ObamaCare delay were. Al Sharpton spent 10 minutes on Governor Christie, Chris Matthews spent nearly 21 minutes on the topic, Chris Hayes spent nearly 13 minutes talking about Chris Christie, Lawrence O’Donnell spent nearly 22 minutes and Rachel Maddow spent a whopping 29 minutes on Governor Christie. “Bridgegate” affected several thousand individuals in a small section of Fort Lee, New Jersey, whereas this latest ObamaCare delay could affect hundreds of thousands of small businesses, yet MSNBC ignored the story that has national implications in order to pile on their attack against a popular Republican governor. Ever since the “Bridgegate” scandal broke late last year, MSNBC has provided wall-to-wall coverage of the scandal, even when there was nothing new to actually report, yet continues to ignore stories with actual national impact.